Travel insurances typically include luggage insurance, which covers the loss and damage of your bag and its content up to a certain amount. Always read the small print carefully as some circumstances and items might be excluded. If you are travelling with high value or fragile items, you might need an additional content insurance cover. What Should Your Travel Insurance Policy Include? You should never travel without adequate travel insurance. Like someone said, if you cannot afford travel insurance then you cannot afford to travel. Then there are lots of optional extra coverage that can be "nice to have", i.e. depending on your travel style and needs. For example if you have a pre-existing medical condition or participate in high-risk sport activity, then you should have travel insurance policy that cover this as well. Saving money by not taking out travel insurance is not wise move. If something goes wrong, you could end up with big financial loss. Taking the risk is just not worth it. What Should Your Luggage Insurance Include? The best travel insurance policies cover theft or loss of money and theft, loss or damage to any personal belongings, including your bag and its content. According to the Montreal Convention from 1999, airlines are legally liable for lost and damaged airline luggage while in their care. Airlines liability is limited to certain amount, currently 1,000 SDR (February 2013). 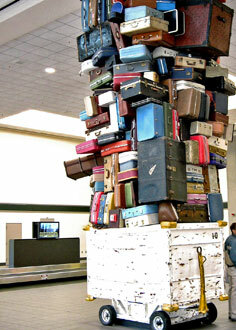 If your belongings are worth more you can declare higher value when you check your bag (usually for additional charge). Most airlines though cap the amount you can declare. More importantly most airlines exclude many high-value items when checked-in, e.g. electronics, jewelry, artwork, fragile items, cash, valuable papers, etc. Taking out an adequate travel luggage insurance is always the safest option if you are travelling with valuable or fragile belongings. You can do nothing or little about your age and health condition but others you can affect, like where you are going and for how long. Sometimes the price can go drastically down by only shortening the trip by couple of days or by not going to certain area in a country. However the most important thing you can control that affects the price of your travel insurance is what you cover and for how much, and the level of risk (excess level) you are willing to take. The higher price you have to pay for your travel insurance policy. Therefore, if you want to save money on your travel insurance you can increase the excess level or reduce the covered amount but never travel without adequate travel insurance policy. Deciding what to cover and for how much depends on how much risk you are willing to take. The more vulnerable you are, the less risk you should take. If you have health problems, then the medical cover is likely to be important to you but you might be willing to increase the excess level on other items, like the personal belongings and travel delays. While if in good health but travelling with expensive gear, like sporting equipments or cameras, then the personal belongings cover might very important to you. But the question was, why do you need luggage insurance? Actually, you might be willing to risk it and not insure your luggage and its content BUT you should never travel without adequate travel insurance policy. This means your luggage and personal belongings are insured as well.